Camouflage backpack bag for Kids with Reflective Tape is made of 600D digital camouflage/PVC. This Backpack Bag for kids is with reflective tape. It can be safety in night. When Playing, the camouflage backpack bag is very suitable for CS.The printing of the Customized backpack bag can be changed as per your request. The structure of the shoulder backpack bag can be changed as per your artwork. we can develop with you new style and design if you have idea for children backpack bags. 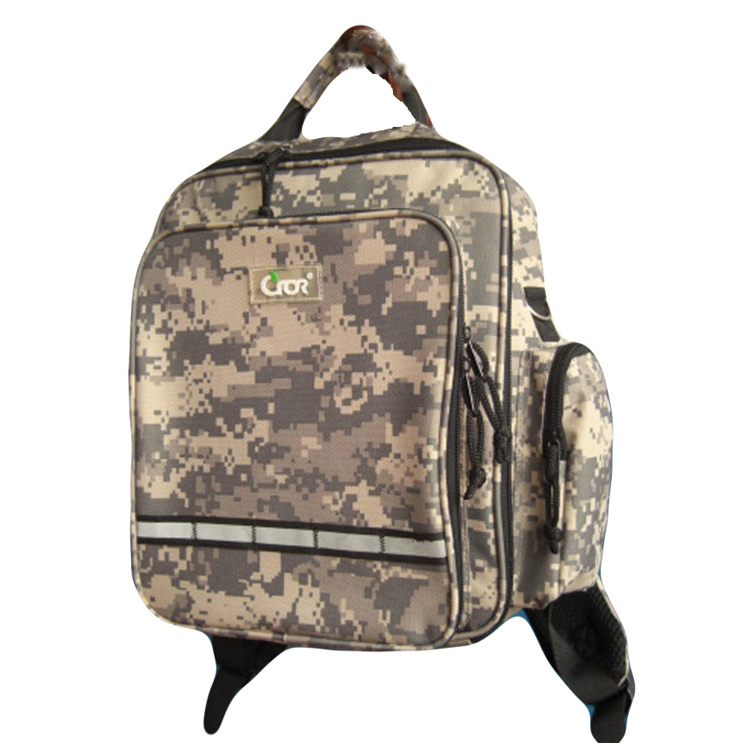 Looking for ideal Camouflage Backpack Bag Manufacturer & supplier ? We have a wide selection at great prices to help you get creative. All the Kids Backpack Bags are quality guaranteed. We are China Origin Factory of Reflective Tape Bag. If you have any question, please feel free to contact us.